Just imagine. You could be splashing around the swimming pool, laughing with the kids all summer; entertaining family and friends in your backyard kitchen, with granite countertops and artisan stonework encircling the grill, smoker, and beverage bar; relaxing on the peaceful stone patio or floating lazily around the swim spa as you listen to the birds sing and the waterfall tumble down the rocks into the water garden below; discovering nocturnal wildlife, illuminated by LED landscape lighting that you can operate with a few touches on your smartphone; sipping hot cocoa on a cool evening, wrapped in the warmth of your backyard fire feature; all without ever leaving home. “When you see the water there is true nature. The pièce de résistance of any outdoor landscape is the pool, its azure reflection of sun and stillness. 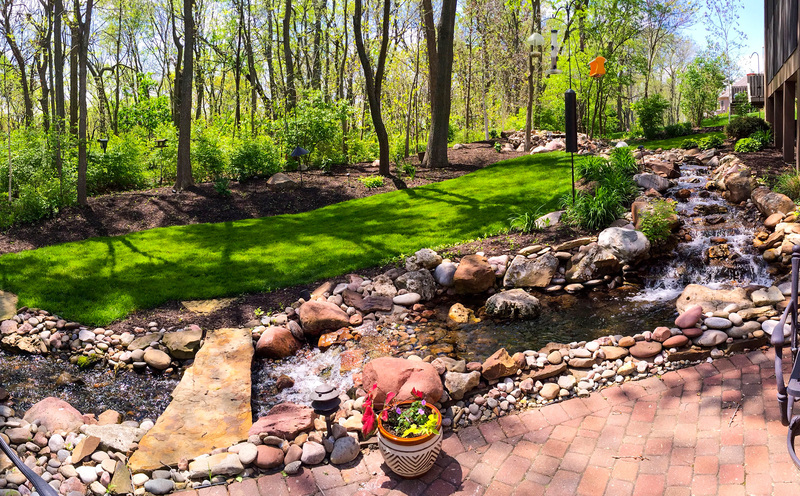 Even more than a lawn or garden, this is your oasis. 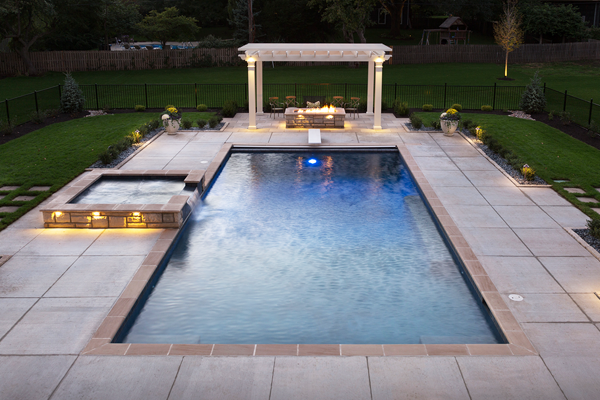 By The Blade’s swimming pool division creates custom designs that compliments your exterior. 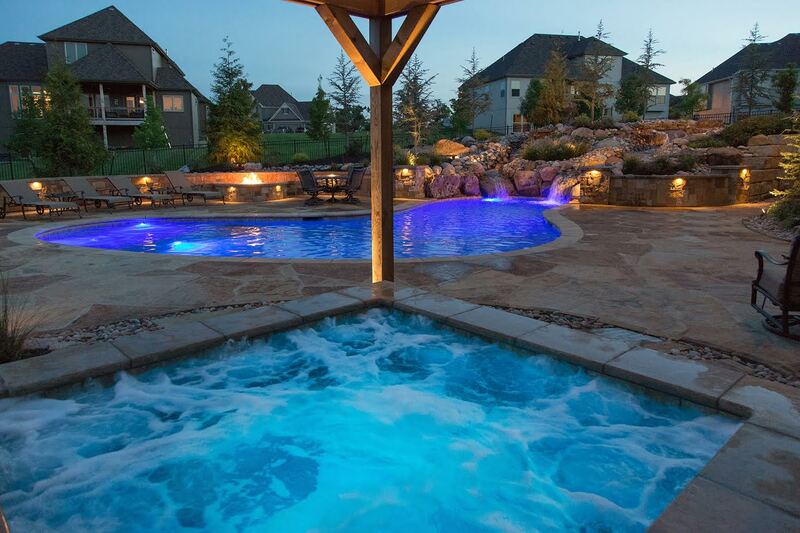 Our pools never look like afterthoughts; rather, they are holistic and unique aspects of your landscape, creating a special ambiance that will last for years to come. 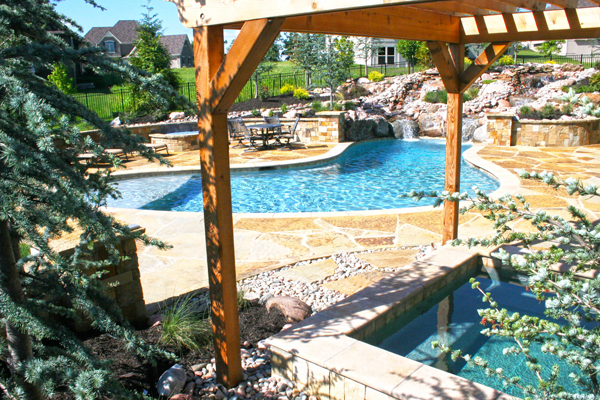 Choose pools in virtually any size or shape, with stone walls, sitting ledges, water jet streams, caves, swim up bars, fire pits, cascading falls, lighting, speakers or pergolas. All installation is overseen by our trusted By The Blade team, rather than a subcontracted company. 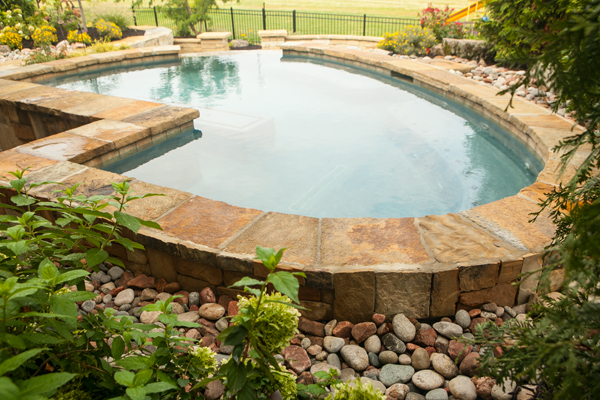 Our advanced maintenance technology makes caring for your pool easier than ever, so you can focus on enjoying the centerpiece of your outdoor oasis. Our 2019 pool installation calendar is almost full. Contact us today to reserve your spot. 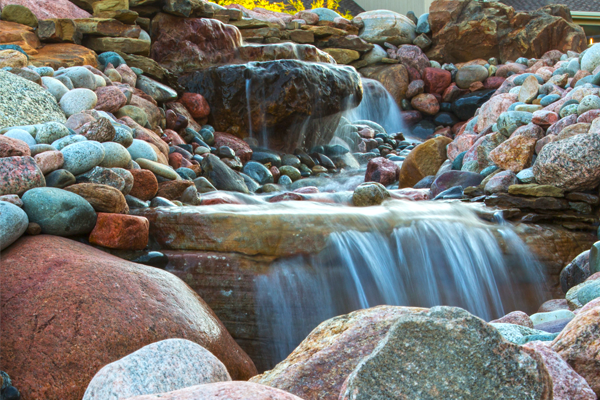 The echoes of water, spilling on stone … rippling in the sun … nature’s most tranquil tones. Illuminate your nightscape for an entirely new perspective on nature. By The Blade’s outdoor lighting experts can design a lighting system that extends boundaries and enhances the Outdoor Living experience all through the night. We create and manage custom environments that enrich our clients’ lives. Your family needs time to enjoy nature — by living in it, not working in it. That’s why we offer Total Exterior Management, a valet service that maintains every aspect of your outdoor environs. Gutters, decks, driveways, swimming pools, shutters and drainpipes–if it breaks, we’ll restore it to its original beauty and order. 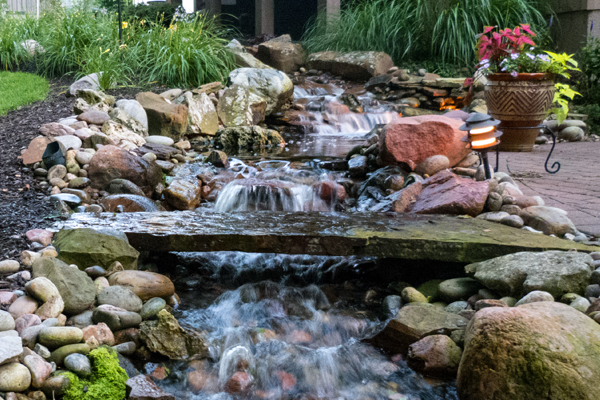 Contact us about Total Exterior Management, and let us introduce you to the luxuries of nature.